“Pardon my French” is the title of this months mixtape, just to take the sting out of the fact that we open with a somewhat bold move – a French nu disco /balearic track called “Les Voiles” by Nu Disco act Poom from Paris. But rest assured… it is still plain vanilla DJ Svoger style, and an incredibly classy opening to Septembers hour of entertainment for friends, followers and dance music lovers worldwide. 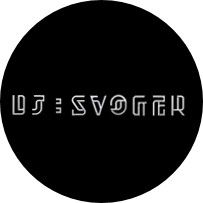 With 13 tracks altogether we give you quite a number of newcomers to the DJ Svoger listings, as the “usual suspects” have been very quiet for a while. Admitted, we have a Moon Boots remix on the tracklist with rework of “Little white lies” by Florrie, and Nora en Pure once again has made it through the eye of the needle. But space has also been made for very interesting tracks and artists such as LANY with “ILYSB”, Pallce with “Joy & Pain” and SBTRKT with “New York” in the Belrabi remix. Altogether we think that this is the best nu-disco soundtrack that you can find for September and we hope that you will enjoy listening as much as we have enjoyed selecting the tracks and composing the mixtape. Enjoy!